Another Black Friday is upon us. The biggest sale of the retail year is an opportunity for people to live beyond their means and for companies to make up for a year of very little growth. Any sale is a simple trade-off for a retailer, reducing the profit margin on goods in exchange for increased sales volume, and the possibility of add-on purchases. Some retailers have even sold certain products at cost, just to amp up the excitement and get more bodies through the door. 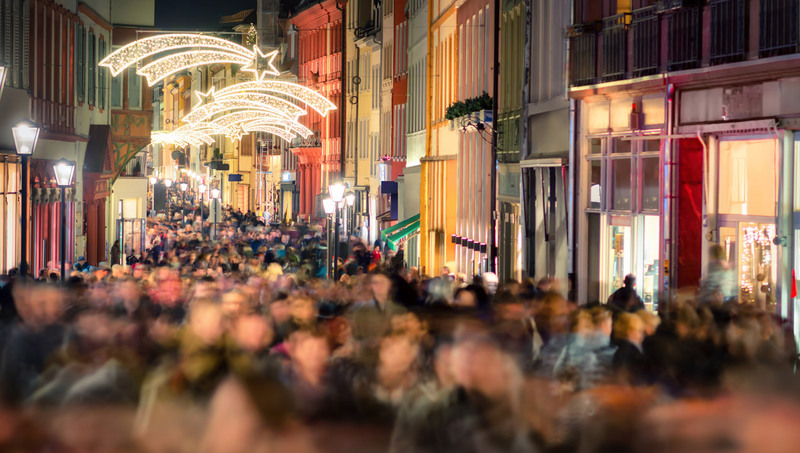 The advantages, on paper, make a lot of sense to both retailers and consumers, yet many people swear off Black Friday sales entirely, preferring to stay away from the horrible customer experience that they are likely to encounter. A customer experience so hostile that it has actually ended in deaths is a rarity, even in retail, but horror stories perpetuate, year on year. Queues starting 2 hours before opening. Stores being accidentally robbed as people grab handfuls of what they assume are free samples. A paramilitary force of extra security guards drafted in to tame the inter-shopper violence. Shady business practices like the ones that killed the Black Friday experience in Brazil, when retailers deliberately hiked up prices in November so that they could give discounts without impacting their profit margin. Some in the industry believe the time of the sale is coming to an end – that dynamic pricing tailored to data collected about the customer could be the future. Black Friday has received a lot of bad press over the years, and given a better alternative, that is still likely to generate similar revenues, it is easy to understand why companies might pursue it. But there is an emotional component to the sale experience that is going to be lost. The limited window of opportunity, the feeling of saving money and the excitement of discovery all fuse together into a singular drive during a large sale. Leading retailers like Amazon use the emotional value of the sale to their advantage. Their Black Friday sale is a week-long extravaganza, with new “massive savings” revealed every couple of hours to keep their devoted customers pinned firmly to their keyboards for the duration. Using the same “limited stock” explanation as old brick and mortar retailers, they turn each purchase that their customer’s make into a victory. In this brave new world of price comparison shopping, it is dangerous to rely on price alone to draw customers in. There are also some rarely discussed, but negative emotional aspects to a sale. In this brave new world of price comparison shopping, it is dangerous to rely on price alone to draw customers in. It is also a risk to let customers know exactly how much of the cost of a product is your profit margin. Customers can have an adversarial relationship with the retailers that they are trying to get the best deal out of, and keeping costs a secret has always been a way for retailers to protect themselves from demands for further reductions. So how could a retailer maintain the same level of investment from customers using dynamic pricing and no sales? The first is to shake off the short-term mindset that plagues an industry built on year by year comparisons. Considering the customers’ journey over the duration of their life, not just in the moment. For online stores this can be as simple as a hassle-free check out, the freedom to change delivery location and time, or a seamless returns process. For instore shoppers, beacons that notify you of your personalised exclusive deals and the savings that you are making with the dynamic pricing. When you combine all these little moments, a customer’s journey becomes personal to them and they can become emotionally invested as an individual, rather than being part of the herd on a Black Friday.